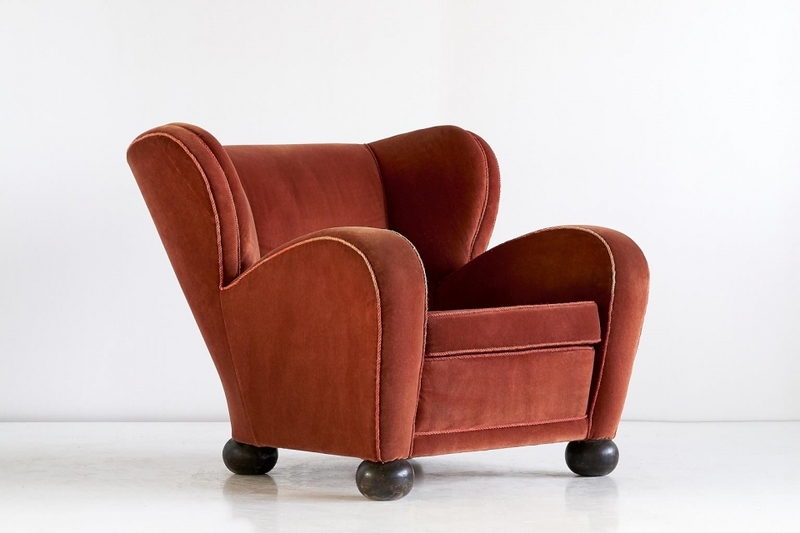 This rare armchair was designed by Märta Blomstedt and produced in Finland in 1939. The generous dimensions and seat depth make this a very comfortable lounge chair. The four round bun feet are in stained birch wood. 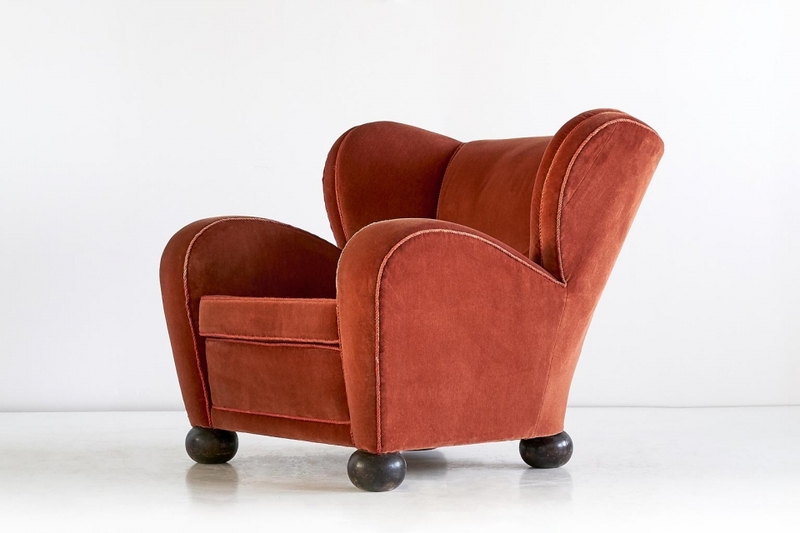 The chair still has its presumably original upholstery in a burnt orange/ rust color mohair fabric, with matching trim details. Upholstery is in overall good condition, with some noticeable fading mostly on the armrests. 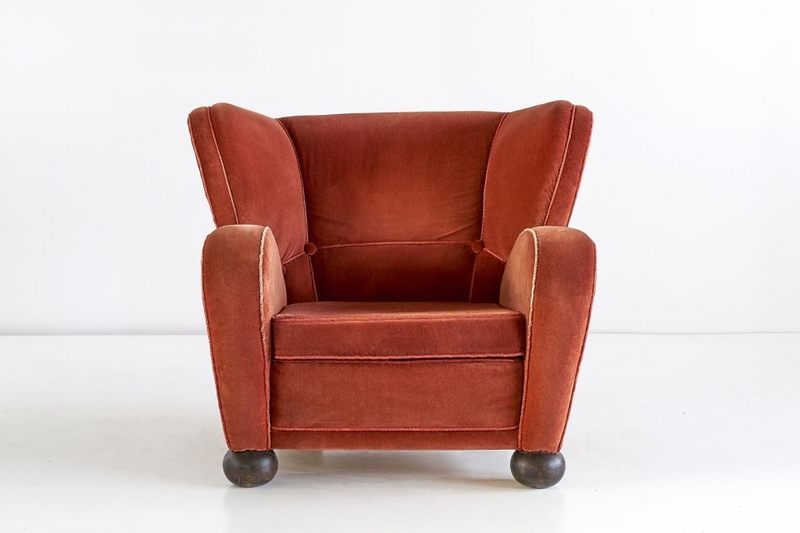 If desired, the chair can be reupholstered in the fabric of your choice, please contact us for the possibilities. The architect Märta Blomstedt, like her contemporary Alvar Aalto, was one of the driving forces of the Finnish functionalism movement. She saw her projects as total works of art, designing not only buildings but also their complete interiors including the furniture and lighting. 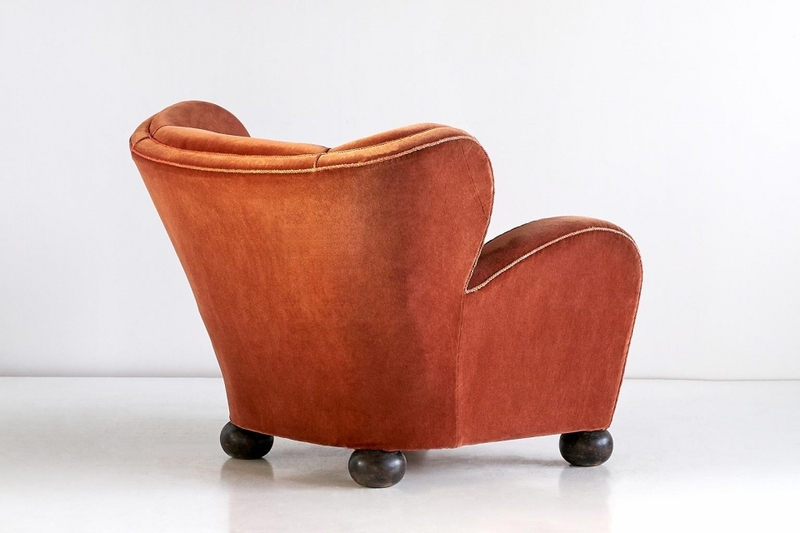 The model of this sumptuous easy chair was designed for the Hotel Aulanko in 1938, which had the same shape standing on chrome tubular legs. The model was installed in the lounge area of the hotel and completed the modernist lines of the hotel itself. Condition: Good. Presumably original mohair upholstery. Visible fading to fabric and trim, mostly on the armrests. The chair can be reupholstered in the fabric of your choice, please contact us for the possibilities. Feet with minor wear and light scratches.